Connecticut's Quiet Corner offers something for everyone...from boutique shopping and antiquing to visiting farms and enjoying farm-fresh products at restaurants and farm stands to outdoor activities in every season. Plus take advantage of the many opportunities to learn in intimate classes and workshops run by artists, naturalists and gourmet cooks. If you love the great outdoors, the Quiet Corner won't disappoint. Hiking, biking, birding, boating, golf and more await you. For runners & cyclists, the popular annual Deary Memorial 5-Mile Road Race & Walk in Putnam now includes a cycling component, sponsored by Danielson Adventure Sports and local cycling club Quinebaug Valley Velo, which also offers weekly group rides. Weekly 5K "Fun Runs" are available every Wednesday night in summer at West Thompson Dam recreational area. And the Last Green Valley's website offers online guides to cycling, paddling and pedaling in the area. The Quiet Corner's art scene is growing fast. You can find galleries and studios in just about every town. Exhibitions, opening receptions and other special art events such as Artist Open Studios days are great ways to explore the visual art scene in the area. Performing arts are also available at the Bradley Playhouse, a historic Vaudeville-era theater, and contemporary drama and dance at The Complex Performing Art Center on Front Street in Putnam. The Little Theatre on Broad Street in Danielson also offers live performances. Victoria Station Cafe in Putnam and The Vanilla Bean Cafe in Pomfret are two popular places to see great live music on weekends. Seasonal entertainment at Rotary Park in Putnam includes Opera al Fresco, dance shows, River Fire, live concerts and more. Other seasonal and annual events–many free of charge–occur at town parks and other venues year round. 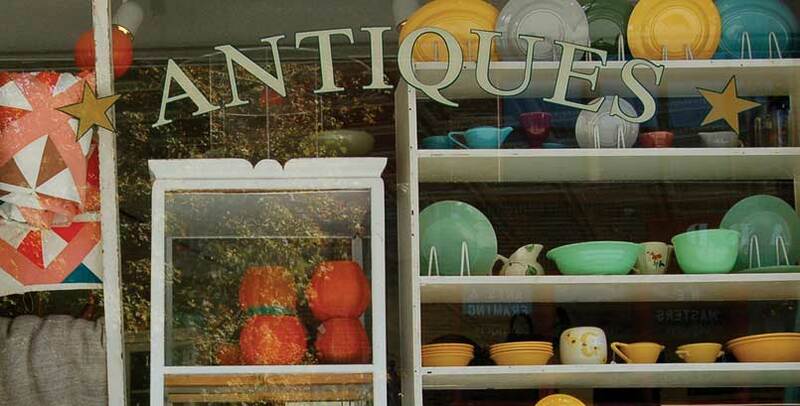 Fine arts & craft shows, antiques shows & appraisal events, holiday fairs, car cruises and antique car shows, art/gallery strolls and shop hops are just a few of the many fun events going on year round in the Quiet Corner. History lovers visiting northeast Connecticut have come to the right place! The Quiet Corner is full of history everywhere you look. Woodstock Hill (Rt. 169), Thompson Hill (Rtes. 200 & 193), and Brooklyn (Rtes. 169 & 6) all offer fine examples of New England town greens surrounded by period architecture. Drive by and have a look. General Israel Putnam's famous Wolf Den, Table Rock and Indian Chair, well-marked trail system for hikes. Fishing, swimming, picnics. Miles of hiking trails plus year-round nature programs, lectures & workshops. A water-oriented park used by swimmers, fishers and boaters, trail system for hiking/off road biking. 200-acre lake, fishing, hiking, mountain biking, seasonal campground, and a disk golf course. Plus snowmobile & cross-country skiing. Sports fields, disk golf course plus hiking trails with access to Airline Rail Trail (dirt/gravel for hiking/running/cycling/horseback riding) and a Corn Maze in the fall. 60 acres on Roseland Lake for boating/fishing, picnicking, playground; Woodstock Golf Course. Former site of Revolutionary War foundry: blue-blazed trails with scenic overlook; connects to Ross Pond State Park for fishing/hiking/hunting. Twenty+ miles of waterways for canoe/kayak. Visit www.tlgv.org for a paddler's guide of put-ins and routes from Putnam, Thompson, Pomfret and Killingly. Popular for its horse trails, outstanding fishing, and riverfront picnic sites. Newly redesigned 18-hole, par 71, golf course with new 9,000 sq. ft. clubhouse. 9-hole course, club house, practice putting green. 18 holes, pro shop, restaurant, lessons, tournaments. 9-hole golf course and driving range, restaurant. Year-round nature programs, lectures, workshops, kids' camps, bird walks & more. One of the more popular farms where visitors can take a wagon ride among a herd of buffalo. A working dairy farm with 700 Holsteins that enjoys giving free tours by appointment. Pick-your-own apples & blueberries, farm-fresh fruits and vegetables. Offering tastings of their fruit-inspired vintages and self-guided tours of the vineyard. Quintessential Gardens at Fort Hill Farms features 72 gardens with over 65 unusual varieties of homegrown perennials. Purchase from the Greenhouse or choose any blooming plant right out of the garden. Pick & purchase exquisite lavender in the Lavender Labyrinth, as well as organic blueberries and currants. 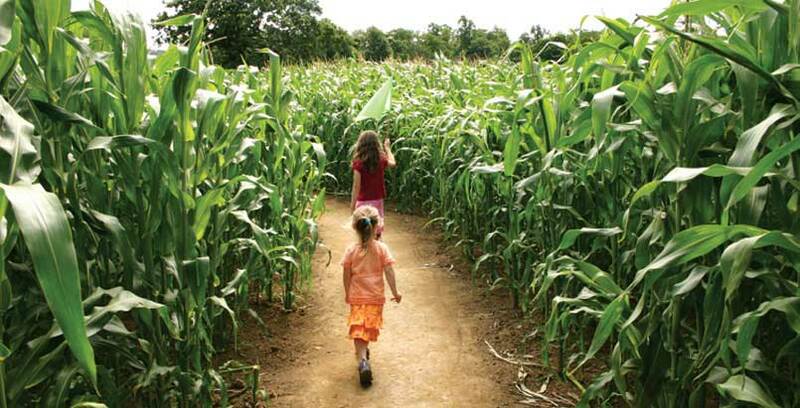 Come see why thousands of visitors come to Fort Hill Farms every summer to enter the eight-acre Corn Maze. It's not like any other corn maze you've ever entered–educational and fun! And enjoy Farmer's Cow ice cream served at the Visitor Center Creamery. Classes in dance, music, theatre, and creative arts. Plus seasonal performances of musicals, dramas, comedies, original work, music and more! A non-profit group in its 35th season of offering top-notch entertainment for adults and children at the Hyde Performing Arts Center on the Hyde School Campus in Woodstock. 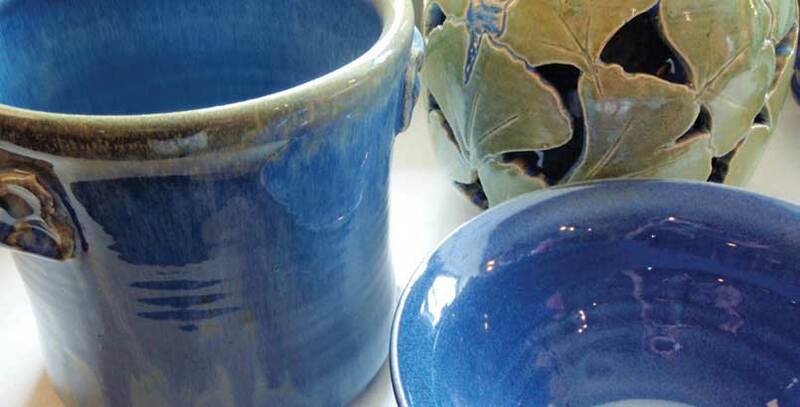 Pottery and art classes, workshops, and studio time, plus paint-your-own pottery. Classes and workshops for all ages in drawing, painting, jewelry making, photography and more. Take a class in rug hooking. Get friendly advice on needlecraft plus a drop-in group knit every Thursday evening at 7pm. A historic Vaudeville-era theater offering seven shows per year, from musicals and drama to comedy, murder mystery, and family theater. Held the first Friday of every month, May through October. Starting at 5pm, enjoy a variety of entertainment, specials from merchants & restaurants, art exhibitions, demonstrations and much more. A non-profit group offering top-notch entertainment for adults and children at the Hyde Performing Arts Center on the Hyde School Campus in Woodstock. Folk music every Saturday night at 8pm. Located at the entrance to Mashamoquet State Park, the Grist Mill is an 1890s one-man mill operation and the only one left of its kinds. Open Sundays (2-5pm) in summer. Enter the park and hike the trails to the "wolf Den," where General Isreal Putnam killed the last wolf in Connecticut in 1742. A tribute to the children's book author of the popular The Boxcar Children mystery series, born in Putnam in 1890. This bright red boxcar located in Putnam's Union Square is open weekends from May to October (11-4pm). Locally known as the "Pink House," this rose-colored Gothic Revival and surrounding historic gardens and outbuildings is located on Woodstock's scenic town green. It features a house museum, open seasonally for tours plus teas, concerts, educational programs and the popular annual Fine Arts & Crafts show in October. One of the oldest one-room schools in America in continuous use, a little over 200 years, open Saturdays in July & August.